Fireplace is not a charm of the past. In fact, once considered a necessity has also evolved as a luxury. In the past, humans used fire for warmth and comfort. The rule is still the same but fireplaces are not as primitive as before. For are ancestors, who considered it a blessing in cold weather; we have taken the inspiration much further and enhanced fireplaces aesthetically. Initially what were wooden fueled fireplaces, now have majorly been replaced by electric or even better ethanol fueled fireplaces. These fireplaces have become essential part of our homes and have further been incorporated in our basements. Earlier basements were considered as storage places, to ward to unnecessary items. Some people considered it as an extra living place; accommodating non-essential things in the house. With time, this perception has changed. Basements now come as fully furnished part of the house. They may now comprise of a bedroom, living room, study and even a kitchen. Fireplaces are also considered one of the favorite features in the house, have also been become a part basements. 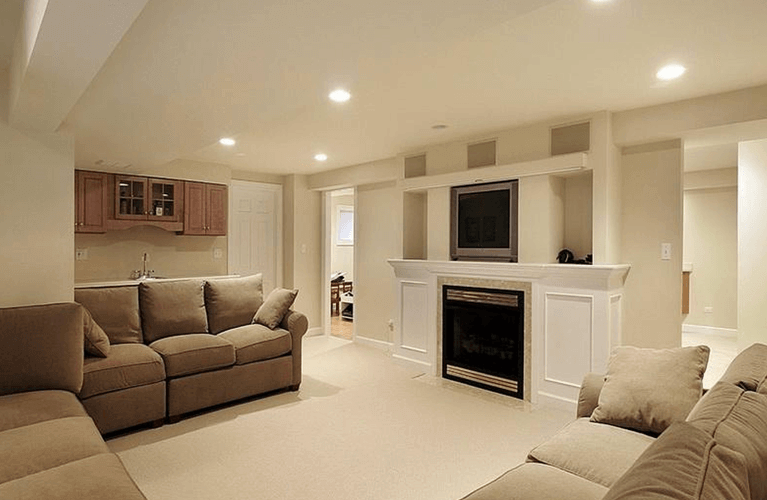 Before considering a fireplace for the basement finishing, special consideration should be given to the specifications. A safe basement fireplace is designed according to one’s needs, taste and especially focuses on the area size. Some people believe in keeping their basement stylish yet homely. Theopt for the conformist approach, going for fireplace built inside the wall. It is accessorized by a television or accented with surrounding cabinets. It all depends on desires and preferences of the housemates. This fireplace is of the simplest kind and further refurbished by décor. 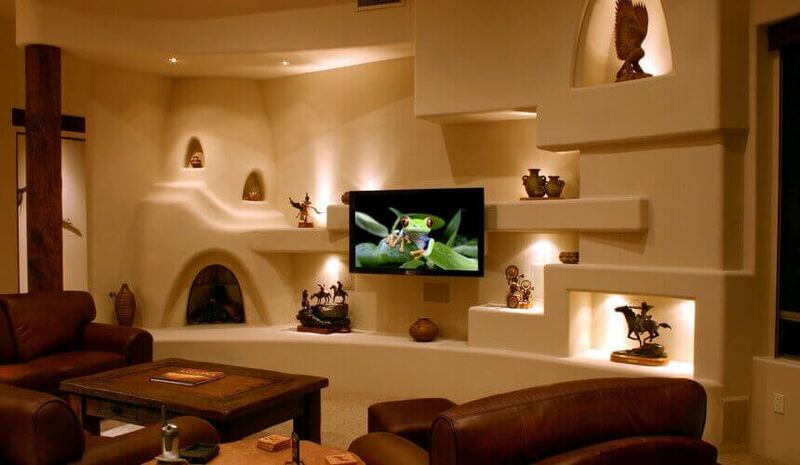 Some people want their basements to feel cozy and hence go for larger, inbuilt wall fireplace. This fireplace is accentuated by logs and is not fully sealed. It gives more of a comfort vibe. Majorly those people who want to sit, relax or read; go for this kind of fireplace. Those people who are more committed to the environment or want to help the earth opt for an enviornmet friendly fireplace. 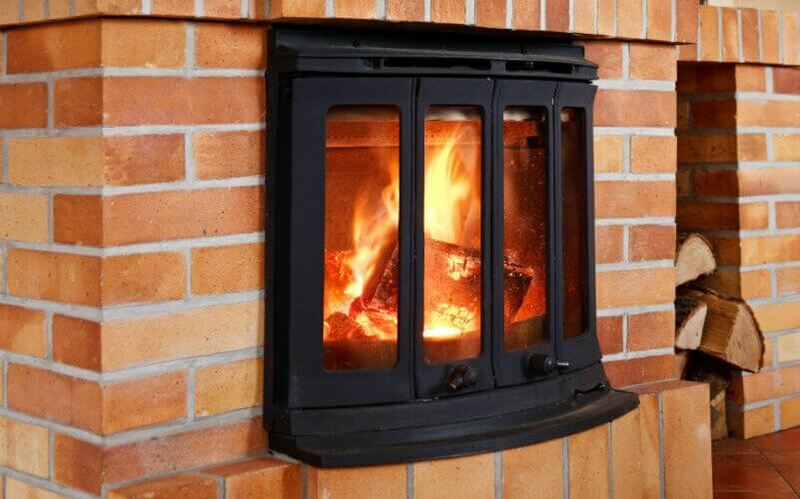 It is clean, portable fireplace which runs on ethanol. It doesn’t really help to heat the room much but ensures to keep it comfortable. It is good for those people who are more naturally aware and want to make a difference. For some people aesthetics are more important. Such people hugely focus on the construction of their fireplace. They do not just go for a typical kind but instead come up with a specialized design which makes them stand out from the others.It is important for them that, this part of the house defines their taste and character. The following fireplace, has a mat of logs and is separated from other parts of the house; holding its own place. The majority people who are more interested to give a homely vibe to their basement, come up with a fireplace which doesn’t stand out. It should feel like a part of their house. Doesn’t garner specific attention but feels welcoming and with limited décor. Such kind is much smaller in size in comparison to other fireplaces. The market is coming up with new modelled fireplaces which help to give the basement a better look. Such is the case with a three side modelled design. It is chosen by people who want their guests to notice every part of their house. It stands out and is larger in design. It is rooted between walls yet gives a 3D view. Some fireplaces scream. 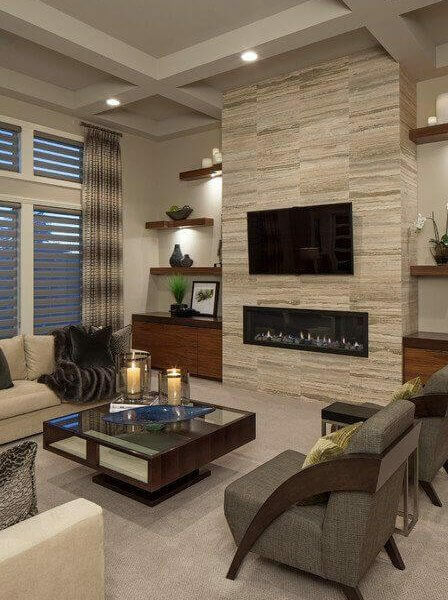 Such fireplace is accented by marble stone and stands out in the middle of the wall. The fireplace is like the any other conventional style fireplace but is centered separately in the middle. This structures makes the room feel more roomy and is one of the most favoured fireplace designs. Some people divide their basements in rooms. Though they still like to consider their basement as one whole area. Hence, for this purpose they leave a place in the wall which is open and connecting rooms. This area is mostly accompanied by a fireplace in the middle which I easily visible in both rooms. Such fireplace is center of attention and looks beautiful. Fireplaces are aesthetically attractive and can be made to look like wall windows. Such fireplaces mostly run on gas and are much smaller in size. These protrude out of the walls and give a very Victorian look to the whole basement. Some people make their basement in a way, that will help them to accommodate extra guests. Such people go out of their way to make their rooms more attractive. 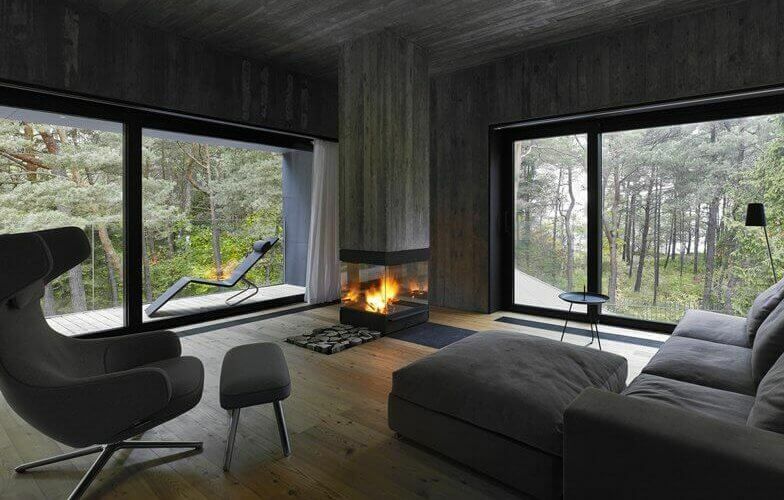 They use see trough fireplace to make their room look picture perfect. Some clients like to provide special designs and have unique ideas and suggestions. 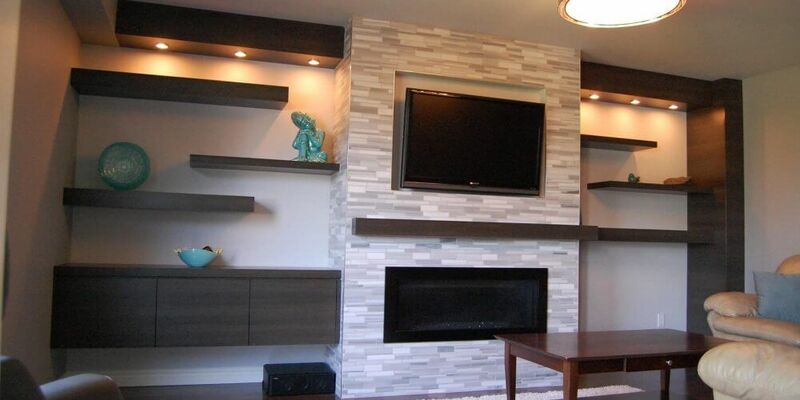 They want to give different look to their basement and mostly go for ethnic style fireplace. This kind of fireplace doesn’t focus on a specific wall but encompasses the whole are. It doesn’t stand out but looks like a part of the whole setup. Some people go way out to make their basement, their secret haven and get a custom built fireplace. It is very accommodating according to the resident’s taste. The fireplace picture provided has a great outlook and an impeccable design. Fireplaces hold a special place in the basement. Majorly people incorporate it in their house to give it a more sophisticated look. 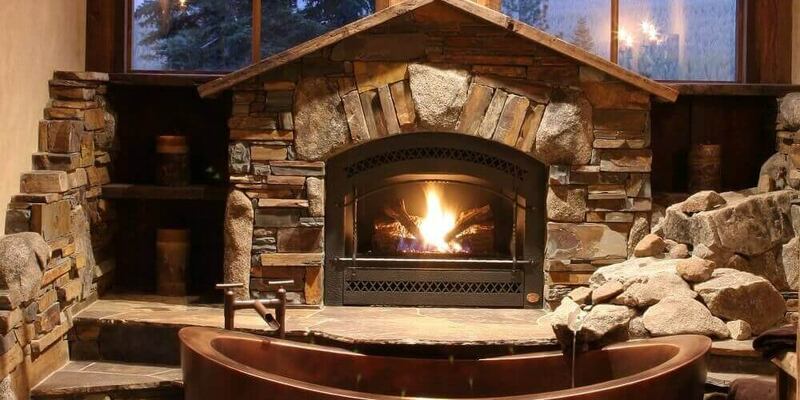 Still the benefits of fireplaces cannot be overlooked. They help provide heating in the cold weather. Along with that, if any person wants a fireplace just to accessorize their basement, they can get many options to choose from. The fireplace options are not only limited to the kind of fuel they will run on, like wood or gas but also focus on the built and design. Wanting a fireplace is an amalgam of taste, need and desire.